Home Minister Kodiyeri Reddy and IT Minister Ketiar urged the steelworkers to help their share of social responsibility for the double bedroom house scheme of Telangana government. The Telangana government will build a two-bedroom bedroom complex for poor people in the country and cement companies to support social welfare of such a spectacular event. Home Minister Sridharan Reddy, IT Minister Ketiar, chairman of the housing corporation, Madhu Bhuvan Reddy, met with the management of steel companies in the Secretariat on Monday. Cement companies have been selling the BEST cement for Rs.230 a barrel, noting that the company is building double bedroom houses and steel companies have to take steps to sell the steel at the lowest rate. Total 2.60 lakh double bedroom houses for construction of 1.45 lakh metric tons in rural areas, 1.04 lakh metric tonnes in tier areas (for 60 thousand houses) and 2.78 lakh metric tons (5.27 lakh metric tons) steel in GHMC The ministers said the company's ownership. The Telangana government is very transparent and it has made it clear to them that there are online bills payments without any delay on steel-sold companies. To sell the steel at a reasonable rate with a positive view, rather than a profit. The owners of the steel companies said they would disclose their decision to the government and discuss the management of all the steel companies. The Ministers have told owners of the steel companies to meet again with the officials on this issue. Ministers Indra Redakshi Reddy and Ketiar Housing Department Special Secretary Chitra Ramachandran have ordered a meeting of two companies in the company for two to three days to meet the base price. 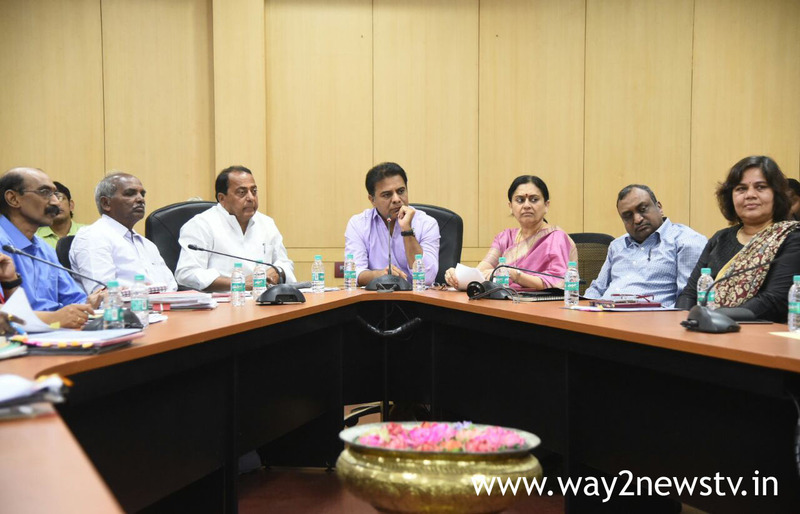 The meeting was chaired by the housing corporation Chairman Madhu Bhoonareddy, Special Chief Secretary of the Home Office Chitra Ramachandran, Director of Municipal Administration Dr. Srinivas, Principal Secretary of Labor Shashank Goyal, State Commerce Department Commissioner Anil Kumar, GHMC Additional Commissioner Bharti, Housing Development Department Chief Engineer Satyamurti, GHMCC CE Suresh Kumar, All India Steel Association chairman Suresh Kumar Singhal, Visakha Steel Plant, Jindal, Shalini Steel Company and 8 other steel companies Owners have participated.